Although this landscape is barely a year old, it is already maturing into the possibilities it was designed to display. 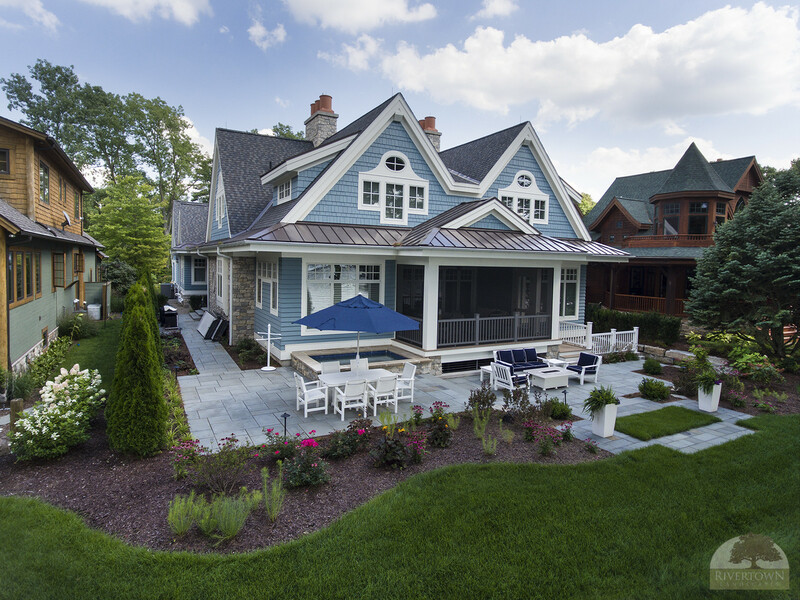 A well designed and executed landscape installation compliments this beautiful new cottage on a private lakeshore near Grand Rapids. The home sites on this lakefront are narrow and the site for this cottage was no exception. 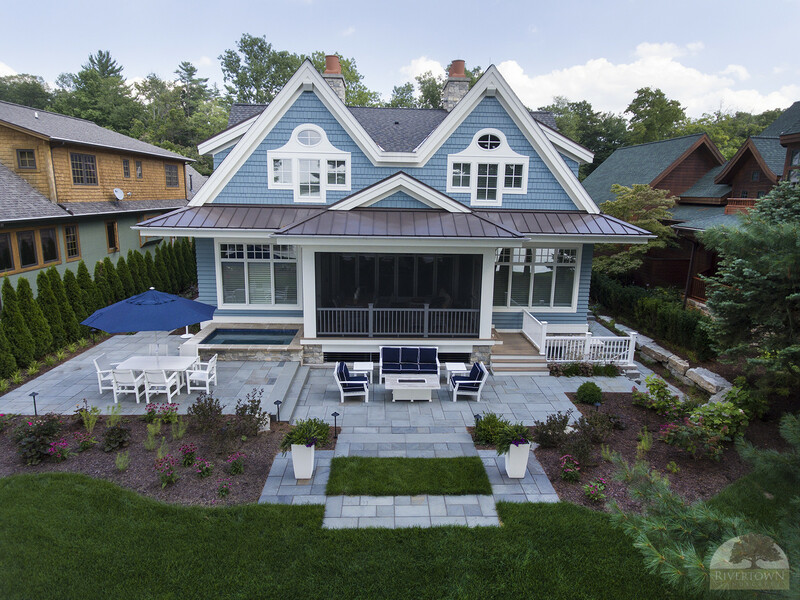 With only eight feet to spare on either side of the home, it was challenging to install all of the outside landscape features with multiple contractors working side by side. 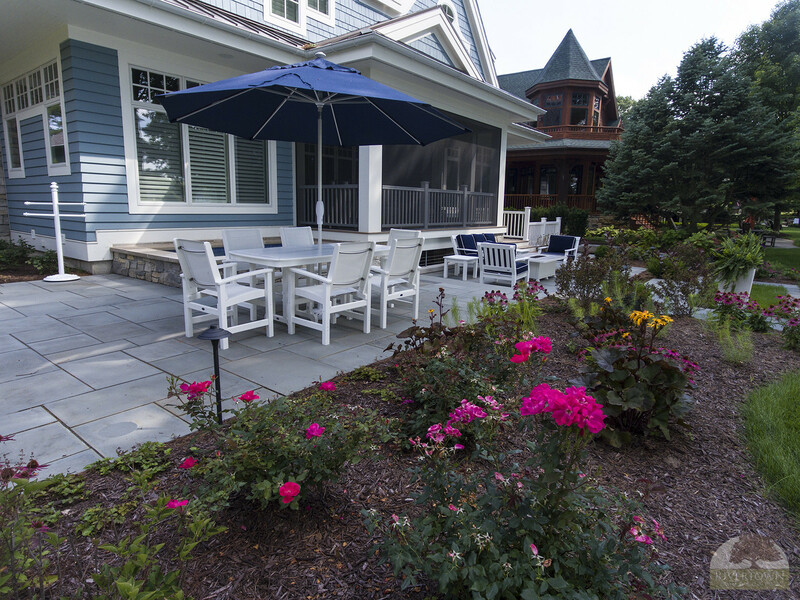 The home owners enjoy entertaining and built the home for guests to have a comfortable extended stay. Entertaining and dining outside, while preserving the outstanding lakefront view was a priority. 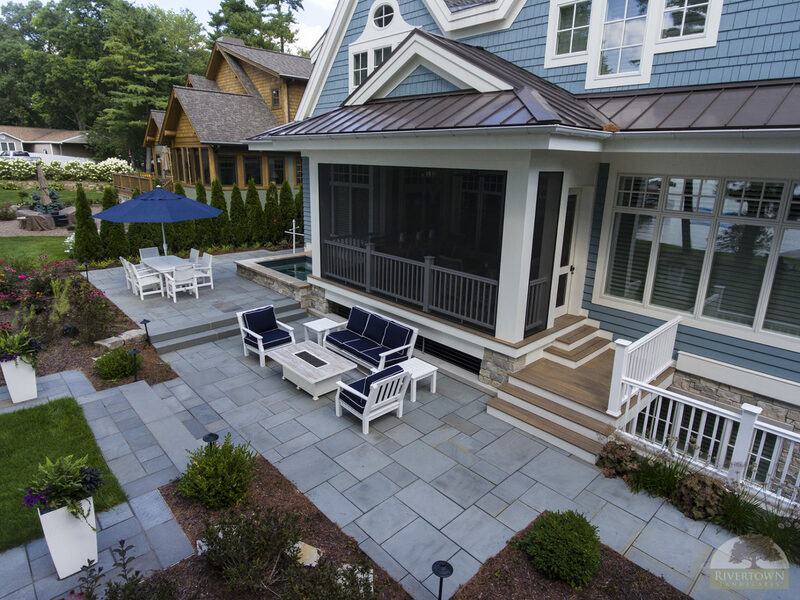 Beautiful blue stone patios and walkways accent the exterior color of the cottage extending the living space outdoors. The patio was designed with multiple levels providing a sense of privacy and intimacy. Because the neighboring homes are situated close together, upright narrow green shrubs provide a needed separation and screening. 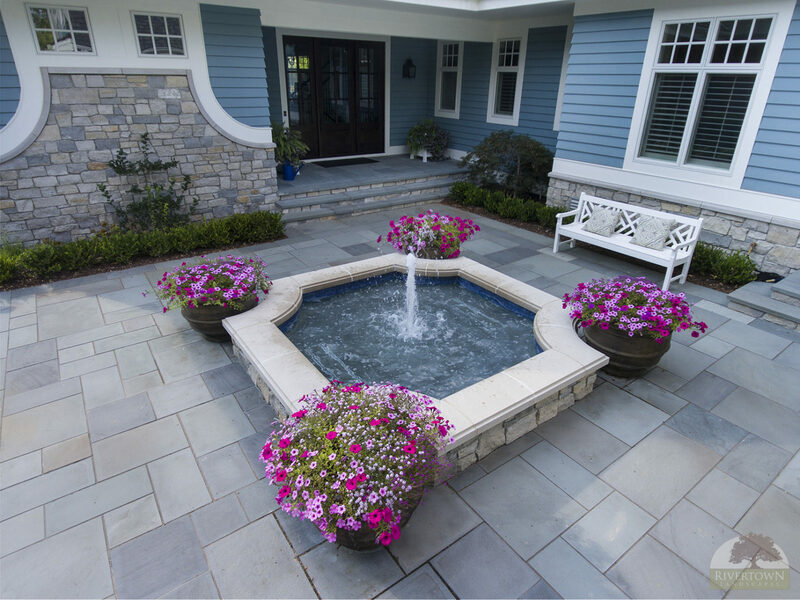 Native perennials and shrubs add a softening contour to the hardscaping features without obstructing the lake view. Imagine soaking in the spa while enjoying a Michigan sunset. 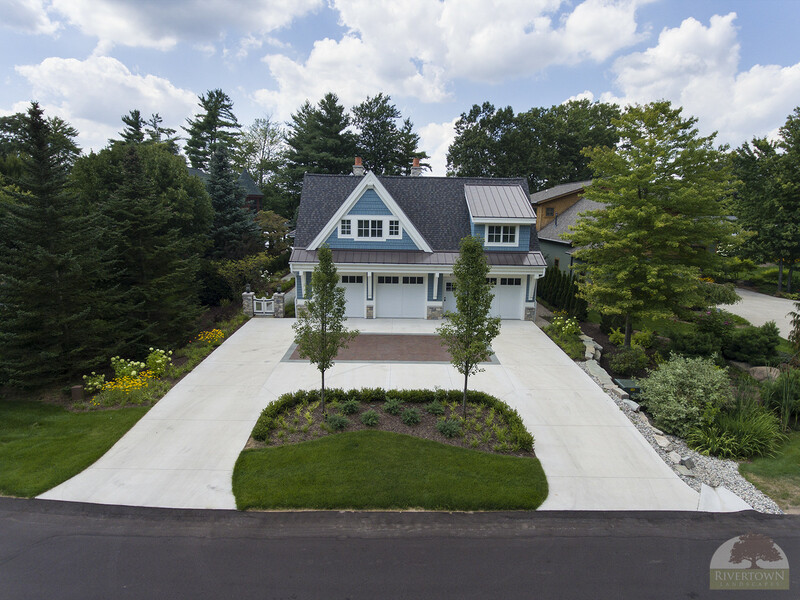 Blending the margins of the property lines with landscaping in this established neighborhood, it’s hard to imagine this cottage hasn’t been here longer. We can’t wait to visit this property in the future and see how the landscape has matured.